A pair of N.C.B. 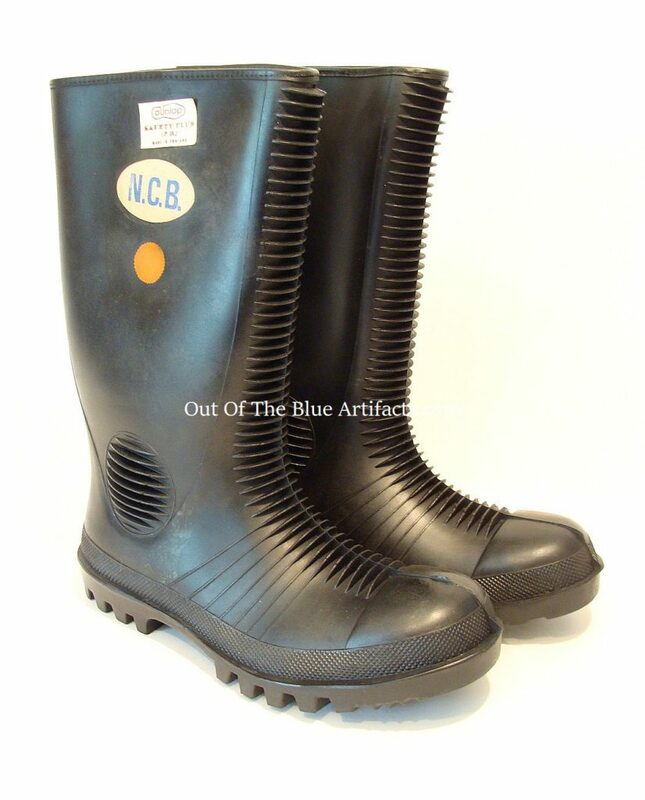 Dunlop steel toe-cap Wellington Boots, shorter type. Used throughout the 1960s and 1970s. Size 12″ inches high. 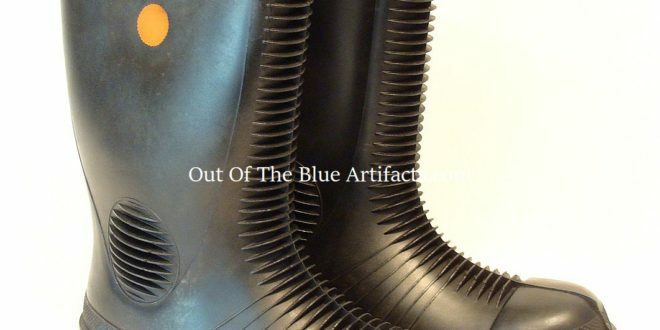 This certain type of Wellington Boot came in two different height sizes, this one 12″ inches high and also a higher 15 ” inch variant.